Citibank was founded in 1812, making it one of the country’s oldest banks. It’s also among the top issuers in the U.S. credit card﻿ market, with 68 million cardholders and $3.26 billion in purchase transactions in 2016, according to the Nilson Report. Citibank offers rewards credit cards and non-rewards credit cards to fit different needs. For example, the travel rewards cards offer great rewards and perks for travelers. However, if you’re not much of a traveler, Citibank also has generous cash-back cards that might be a better fit for you. Is a Citibank credit card right for you? Here’s a roundup of Citibank’s top credit cards to help you figure out if one will work for you. Not everyone needs credit card rewards. The Citi Simplicity Card was created to offer the best deal possible with the most savings. It has no late fees, no annual fee, and Citibank’s lowest introductory APR. The Citi Simplicity card has a zero-percent introductory rate APR for the first 18 months after you open the account. That means if you use the card to buy something or transfer a balance from another account, you won’t pay interest during that period. That’s more generous than most zero-percent introductory rate cards, which tend to offer 12 months of introductory rates. This rate only applies to balance transfers if you transfer the balance within four months of opening the account. There is a 3 percent balance transfer fee. Once your introductory period expires, you’ll be charged a 15.24 percent to 25.24 percent APR on any balance you carry. The card has no annual fee and no late fees, but there is a 3 percent foreign transaction fee and a 5 percent cash advance fee. Despite this, there aren’t many special benefits attached to the card. It is a simple card that is likely the better choice for people who carry a balance, as the introductory interest rate can help them manage and repay their credit card debt. Who wants a cash-back rewards credit card when you can get a double cash-back card? The Citi Double Cash Card gives you 1 percent cash back on all your purchases when you charge the purchases and then another 1 percent when you pay those purchases back. Although the Citi Double Cash Card has no signup bonus, it does offer a generous zero-percent introductory rate on balance transfers for 18 months. In order to qualify, you have to transfer the funds to your card in the first four months of owning the card. But you will have to pay a 3 percent balance transfer fee. Unfortunately, there is no zero-percent introductory interest rate on regular purchases. The interest rate on the card starts between 14.74 percent and 24.74 percent. The card has a 26.49 percent APR on cash advances. If you make a late payment or your payment is returned, get ready to pay a 29.99 percent penalty APR. The penalty rate could apply indefinitely after you make a late payment, so be careful to make all your payments on time if you get this card. The card also charges a 5 percent fee for cash advances and a 3 percent foreign transaction fee. There is no annual fee on this card. The Citi Double Cash card might be worth it for the rewards alone. It’s also a good option to consider if you have a balance on another card you want to transfer. Even with the 3 percent transfer fee, the amount that you could save in interest over 18 months might be significant. The Citi AAdvantage Platinum Select World Elite Mastercard is a travel rewards card with a low annual fee, great rewards, and a killer signup bonus. This card comes with a signup bonus of 30,000 American Airlines AAdvantage bonus miles. In order to qualify for the bonus, you just have to spend $1,000 in the first three months after you open your account. The card has no introductory interest rate. Instead, the interest rate starts between 17.24 percent and 25.24 percent. This rate also applies to balance transfers. If you get a cash advance, you’ll have to pay 26.49 percent in interest on the money you take out. There is also a 29.99 percent penalty APR that kicks in if you make a late payment or your payment is returned. Once you get the penalty rate, it could continue indefinitely. There is a $95 annual fee, which is waived for the first year. This is commensurate with other good travel rewards cards. You’ll also pay 3 percent on balance transfers, and 5 percent on cash advances. But you’ll be happy to know there isn’t a foreign transaction fee – which is likely welcome news for the frequent traveler. There are also some other bonuses for travelers. For example, you get a first bag checked for free on American Airlines and you also enjoy priority boarding and 25 percent off any in-flight food or beverage purchases. You earn two AAdvantage miles for every $1 you spend on American Airlines purchases and one AAdvantage point when you spend $1 on anything else. The cards are also enabled with Apple Pay and chip technology to help you pay faster and more securely. This card might be a good option if you want great travel benefits without having to pay through the nose for an annual fee. Given that the fee is waived in your first year, it might be worth your consideration. Want a premium travel reward credit card with premium travel rewards card benefits? If so, consider the Citi AAdvantage Executive World Elite Mastercard. This card has a high $450 annual fee, but it also has amazing benefits. For example, you can get up to 50,000 rewards points if you spend $5,000 in the first three months of having the card. The card doesn’t have a zero-percent introductory rate, but few travel cards do. Instead, there is a 16.99 percent to 24.99 percent APR on regular purchases and balance transfers, and a 26.49 percent APR on cash advances. Your rate can vary depending on your credit. It will also vary based on fluctuations in the prime rate. You’ll pay 26.49 percent for cash advances and a 29.99 percent penalty APR. The penalty can kick in if you make a late payment or if your payment is returned and could continue indefinitely. Unfortunately, the annual fee isn’t waived in the first year, and you’ll pay a 3 percent fee on balance transfers and a 5 percent fee on cash advances. However, the card has no fee for foreign purchases. What are some of the card’s additional benefits? There’s a $100 credit given every five years to reimburse the Global Entry or TSA PreCheck application fee. There’s also priority check-in, a 25 percent discount on in-flight purchases with American Airlines, and a dedicated travel concierge to help with foreign and domestic travel. You can earn two AAdvantage miles for every $1 spent with American Airlines, and one AAdvantage mile for every $1 spent on everything else. You can also earn 10,000 Elite Qualifying Miles if you spend more than $40,000 within the year. The Citibank Advantage Executive World Elite Mastercard might be a good option if you travel a lot and spend a significant amount of money on your card. But consider shopping around to see if you can find a comparable card with a lower annual fee or a premium travel card with more generous benefits. If you’re looking for a reward points card, take a look at the Citi ThankYou Preferred Card. It offers ThankYou points on every purchase – one point for most purchases and two points for spending on dining out or other forms of entertainment. Don’t know what you can do with ThankYou points? Well, 2,500 ThankYou points can be redeemed for a $25 gift card on Citi’s website ThankYou.com. You can get gift cards for department stores, home stores, and restaurants. You can also redeem your points for travel rewards or purchases on Amazon.com or BestBuy.com. The card has an introductory zero-percent interest rate for the first 15 months on balance transfers and regular purchases. The interest rate for the card then reverts to 14.74 percent to 24.74 percent APR, based on your creditworthiness. There’s a 26.49 percent APR on cash advances and a 29.99 percent APR penalty rate for late or returned payments – a rate that, if enacted, could continue indefinitely. The card charges 3 percent on balance transfers, 3 percent on foreign transactions, and 5 percent on cash advances. There is, however, no annual fee for this card. Another benefit of the ThankYou Preferred Card is access to special tickets set aside for Citi members through Citi Private Pass. These include presale tickets and VIP packages to things like concerts, dining experiences, and sporting events. They also offer free movie screenings. Another perk, Citi Concierge, provides access to experts who can help with travel booking, shopping, entertainment, and dining needs. Another bonus is being able to choose a billing day, which means you can figure out the best time to pay according to your cash flow. Ultimately, this card is a great option that gives you the best of a reward points card with the best of a zero-percent introductory interest card. The fact that you can earn generous rewards without having to pay an annual fee is a great benefit. If you like the Citi ThankYou Preferred Card but are in college and don’t think you’ll qualify for it, there’s a version for students. The college student version of the ThankYou Preferred card offers up to a 2,500-point signup bonus for spending $250 on the card within the first three months. That’s the equivalent of a $25 gift card – something that can come in handy when you’re a student. You can earn one point for every dollar spent on most regular purchases and two points for every dollar spent on dining out and entertainment. However, as a student, your entertainment and dining out budget is not likely to be extravagant, so you might not benefit much from this perk. Citi ThankYou Preferred Card for College Students, however, doesn’t have the same zero-percent introductory interest rate benefits since it offers zero percent interest for the first 7 months on regular purchases and not on balance transfers. After that, the APR is between 15.74 percent and 25.74 percent, depending on your creditworthiness. Given that you’re a student, and you might not have built up your credit profile or be making significant income, you’ll like have to pay closer to the higher end of that scale in interest. The card has a 26.49 percent rate for cash advances and a 29.99 percent penalty APR if you miss a payment or your payment is returned. This rate can continue indefinitely. You will also pay 4 percent for each balance transfer and 5 percent for cash advances. While you won’t have to pay an annual fee, you will have to pay a 3 percent foreign transaction fee. You can redeem your ThankYou points for gift cards for dining out, entertainment, and retail shopping, as well as use them to buy electronics, books, and travel rewards, or to make charitable donations. You might also benefit from the Citi Private Pass program, where you can get access to presale tickets and VIP packages for things like concerts, dining experiences, and sporting events. You’ll also have access to free movie screenings via www.citiprivatepass.com. Finally, Citi’s Concierge service can help with travel bookings, and with your dining, entertainment, and shopping needs. The Citi ThankYou Preferred Card for College Students isn’t as generous with perks as the normal ThankYou Preferred Card. However, it does offer a number of great benefits that most other cards aimed at college students don’t, which might make it a good option for college students. If you have credit card debt you want to transfer to another card, the Citibank Diamond Preferred Card might be a good choice. It offers a zero-percent introductory rate on regular purchases for 12 months, plus a zero-percent introductory rate on balance transfers for a whopping 21 months. The offer is only valid on transfers made within the first four months of opening the account. But that’s one of the longest introductory periods available on the market for balance transfers. After that, the interest rate becomes to 14.24 percent to 24.24 percent, based on your credit. Cash advances have a special APR of 26.49 percent, and there’s a penalty APR of 29.99 percent that kicks in if you make a late payment or your payment is returned. This APR might continue indefinitely. The card charges 3 percent for balance transfers, 5 percent for cash advances, and 3 percent for foreign transactions. It does not have an annual fee. The card also offers the Citi Price Rewind program – a complimentary 60-day search for lower prices on any purchases you make on your card. If it finds the same item for a lower price, you can return the one you bought and buy the lower-priced item. The card provides access to the Citi Private Pass program, which gives access to special pre-sale tickets or VIP packages to thinks like concerts, dining experiences, and sporting events through www.citiprivatepass.com. The card’s Citi Concierge service connects you with people who can help you with travel, dining, entertainment, and shopping needs. Overall, the Citi Diamond Preferred Card can offer a lower interest rate for transferring balances from other cards. The 21-month introductory rate on balance transfer is rare and could help you save a significant amount of money. If you need a card for your business and also would like to earn points, see if the CitiBusiness AAdvantage Platinum Select World Mastercard works for you. 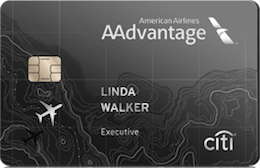 This card gives a generous signup bonus of 60,000 AAdvantage bonus miles if you spend $3,000 in the first three months of owning the card. In addition, you can earn two miles for every $1 spent on American Airlines purchases, and on purchases for telecommunications, car rentals, and gas. You can earn one mile for every $1 spent on everything else. The APR ranges from 16.99 percent to 24.99 percent for regular purchases and 21.49 percent on cash advances. A 29.99 percent penalty APR goes into effect if you make a late payment or your payment is returned – and it can continue indefinitely. The card has a $95 annual fee that is waived during your first 12 months. The card has a 3 percent cash advance fee and no foreign transaction fee. Balance transfers are not available on this card. Benefits include getting the first checked bag for free on American Airlines for you and up to four companions. You can also get preferred boarding and an American Airlines Companion Certificate when you spend $30,000 or more in a year. You can also get 25 percent off in-flight food and beverage purchases on American Airlines. In addition, the card offers worldwide travel accident insurance that can cover you up to $1,000,000, worldwide car rental insurance against theft and damage for up to $50,000, and travel and emergency assistance for emergencies, medical, and travel issues. Purchase assurance covers up to a maximum of $10,000 per loss and up to $50,000 per card if a purchase made with your Citi card is either damaged or stolen within 90 days. An extended warranty of up to five years is available for your purchases and covers up to $10,000 per calendar year. 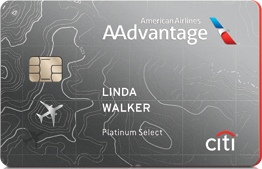 Ultimately, the CitiBusiness AAdvantage Platinum Select World Mastercard offers many perks for a relatively low annual fee. If you travel frequently for business, the benefits can likely outweigh the costs. If you go to Costco and come out with a cart full of stuff for your business, the Costco Anywhere Visa Business Card by Citi might be a good choice for you. The card provides extra cash rewards for shopping at Costco. The card offers 4 percent cash back by buying gas worldwide, including at Costco, up to the first $7,000 spent per year. It gives 3 percent cash back for restaurant and eligible travel expenses worldwide, and 2 percent cash back on purchases from Costco and Costco.com. It also gives 1 percent cash back on all other purchases. Cash back can be given as an annual reward certificate on your account. The card offers APRs of 16.49 percent for regular purchases, 23.24 percent for cash advances, and 29.99 percent as a penalty. The penalty rate can go into effect if you make a late payment or if your payment is returned – and could continue indefinitely. Costco members pay no annual fee for this card. There is no foreign transaction fee, but there is a 5 percent fee on cash advances. The card also provides great perks like a damage and theft purchase protection plan, which can cover repairs or refund your money if your purchases are damaged or stolen within 120 days of your purchase. There’s also an extended warranty available for purchases. The worldwide car rental insurance covers you in case you rent a car and incur damages or theft. Worldwide travel accident insurance can cover your family if you die while traveling. Finally, travel and emergency assistance are available in case you need emergency help while traveling. Ultimately, this card provides generous cash-back rewards benefits. If your business spends significantly in the areas where you get bonus cash-back rewards, this card might work for you.